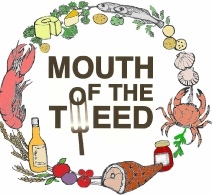 Mouth of the Tweed is a network of producers, hospitality providers, shops, food-related attractions and organisations sharing a commitment to develop and promote the extraordinary food heritage of the area within a 25 km radius of Berwick-upon-Tweed, today and in the past. 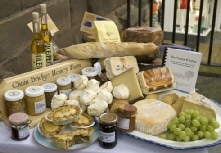 Visit these events to sample some of the best local and regional food and drink. 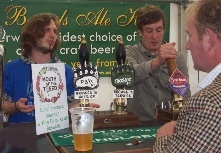 Berwick Food and Beer Festival in September. Berwick-upon-Tweed has a long history of producing food and drink and is an excellent place to taste the area’s specialities today. Fresh crab and lobster, oysters from the waters off Holy Island, traditionally-smoked kippers and haddock, farm-made cheeses, ice-creams and yogurts, grass-fed beef and lamb, organic eggs, pork and speciality cured meats, varieties of heritage potatoes, bread from a wood-fired oven, Lindisfarne Mead, craft-brewed ales using local malt, home-made jams and preserves are just a selection of our local produce. In the summer you can watch salmon fishermen at the mouth of the Tweed using traditional nets and rowing boats called cobles, as they have done for over 900 years. Tweed salmon and sea trout have recently been accepted into the Slow Food “Ark of Taste”. At the Chain Bridge Honey Farm Visitor Centre you can discover the story of bee-keeping and sample honey from hives set in the fields and hills around the Tweed valley. See grain being milled at first hand n the restored water-powered Heatherslaw Corn-mill, only a short drive or bus ride from Berwick. Barley has been grown around Berwick for centuries and Tweedmouth is home to Simpsons Malt, the country’s largest family-owned firm of maltsters. 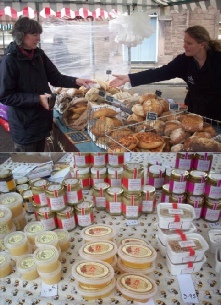 For much more information about the food and drink produced within 25 km (16 miles) radius of Berwick-upon-Tweed, today and in the past visit the website of Mouth of The Tweed.